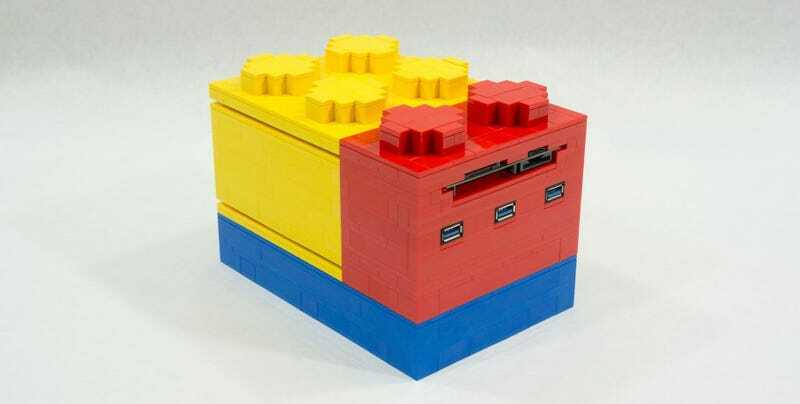 Any Lego lover in the market for a new computer would want a system that stacks together into a compact brick. Even better, one whose case is made entirely of Lego. Rejoice, nerds, Total Geekdom’s Mike Schropp has heard your silent plea. Schropp’s first saleable Lego build came out in March. At 4”x5”x5”, version 2.0 is not only quite a bit smaller than its (already pretty compact) predecessor, it features a colorful external hard drive module and a memory card reader, both of which fit together with the computer into a nerdgasmly slick, compact Lego system. You can read more about the build here, check out pricing for various system configurations here, or just longingly soak up some images right here.